Besides bacon, cupcakes, cake pops, and ‘mini’ anything it is like all the rage. People put brown butter in everything; from cookies to Rice Krispy Treats, to sauces for pasta, gnocchi, fish and chicken. People even just whip up brown butter to dip fresh bread in. Since then I always forget to transform my butter in that nutty, golden brown liquid. I forget that brown butter can totally transform cookies, treats, pasta, fish, bread, and of course mashed potatoes! 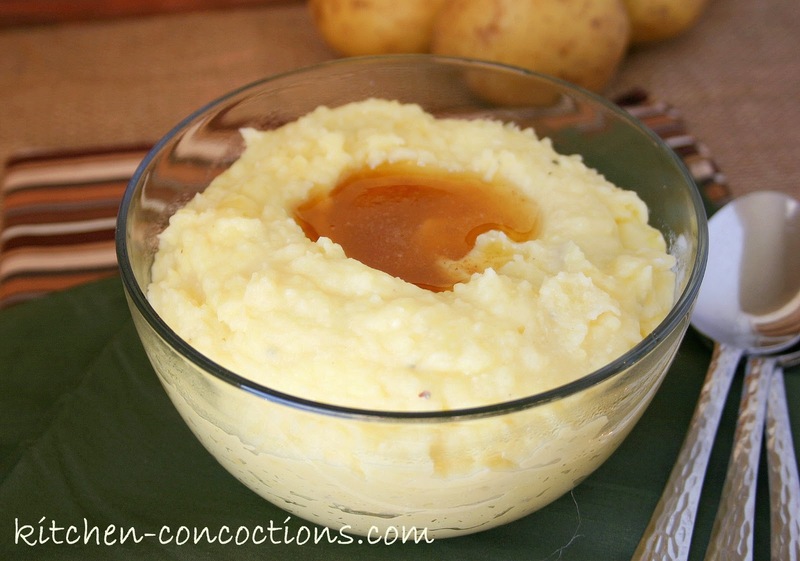 But I was reminded of brown butter and all its glory when I saw these Brown Butter Mashed Potatoes on Taste and Tell. 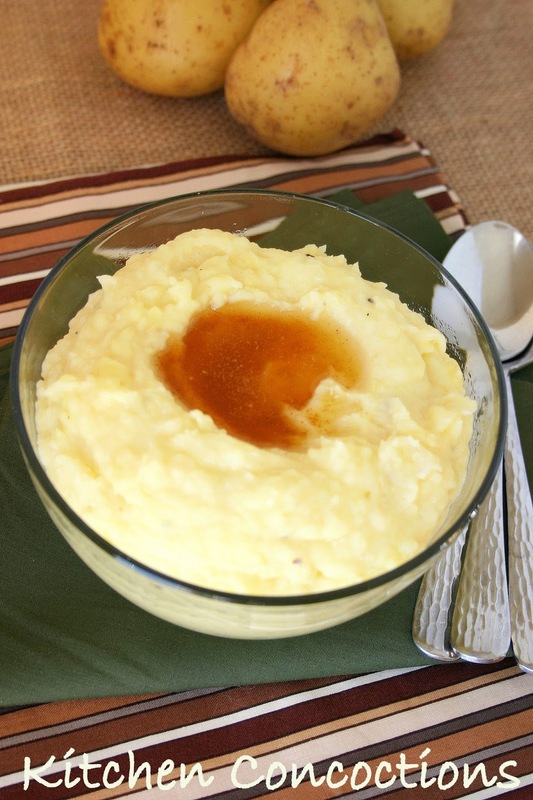 The base of these mashed potatoes are pretty basic, but when you add brown butter they are completely transformed and don’t need anything else! Place the butter in a heavy saucepan and cook over medium heat, stirring constantly, until the butter begins to turn golden brown, about 6-8 minutes. Remove immediately from the heat and pour butter into a bowl. Set aside. Place the potatoes in a large pot and cover with water. Add 1 teaspoon salt and bring to a boil over medium-high heat. Cook until the potatoes are tender, about 12 minutes. Drain water and return cooked potatoes to the pot. Using a potato masher, mash the potatoes until desired consistency is reach. Reserve 2 tablespoons of the browned butter, and add the remaining to the potatoes, along with the buttermilk, milk and remaining salt. Season with black pepper and additional salt, to taste. Transfer potatoes to a serving dish and drizzle with the reserved brown butter. These sound delicious. I'm constantly thinking of ways to use brown butter, but I never thought of using it in mashed potatoes.